There are many quick and easy ideas for candle centerpieces that can turn these common household décor objects into elegant and sophisticated focal points for a dinner table, sideboard, mantle, or other featured spot in your home, no matter what the occasion. An elegant candelabra, for example, makes a stunning centerpiece when paired with a bouquet-style flower arrangement. Set the candelabra on a coordinating charger, mirror, or table runner for even more distinction. A candle garden is composed of several similar candles grouped in a natural, elegant setting. Pillar candles are the most popular shapes for candle gardens, and you can surround the candles with fruit, rocks, pine cones, greenery, pebbles, or other simple accents. A linear centerpiece uses several candles of equal size and shape to create one larger decoration. Votive or tea light candles are excellent to use in an oval or rectangular tray. The romantic curves of a hurricane glass can be perfect for a candle centerpiece. Not only does the glass add elegance to the arrangement, but it also helps shield the candle’s flame from stray breezes. Flower rings, beads, or plain candle stands are all suitable to pair with a hurricane glass. Any ideas for candle centerpieces will seem more spectacular if the entire table is coordinated. Choose matching colors for stemware, linens, candles, and accents to create a bold and elegantly decorated table. Add a soft, romantic feel to the simplest candles by submerging them in the centerpiece so only the very tops of the candles and the flames are visible. This is best with votive and tea light candles, which can easily be submerged in pebbles, sand, gravel, beads, or shells. A single, elegant candle holder or shaped candle can be a quick and easy centerpiece that does not require any additional embellishment. A lotus candle holder, antique or vintage candle holder, carved candles, or figurine candles are all excellent choices. You can create a fast and fun holiday candle centerpiece by pairing a candle with a coordinating ring of ornaments. Pine boughs, ribbon, and garland are also quick, easy choices to add to a pillar or jar candle. Candles don’t always need to be the main focal point of a centerpiece. Add smaller tea lights or votive candles in simple glasses as elegant accents around a floral centerpiece, bowl of fruit, or other decoration. 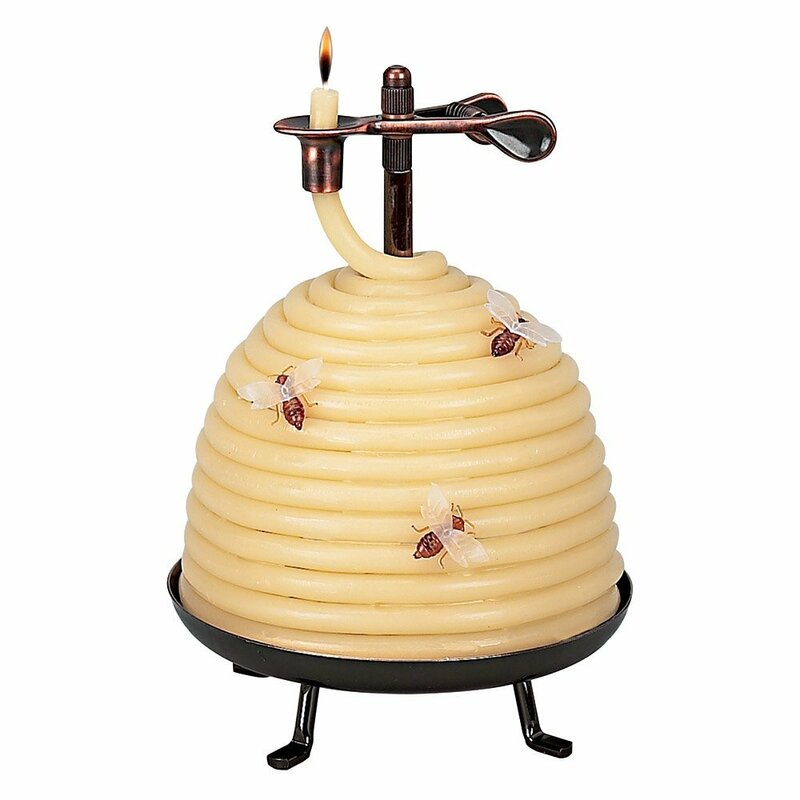 An unusual vintage candlestick or antique candle holder makes a fine centerpiece without elaborate arrangements or extra details. Equally stunning are unique pieces from different cultures. Floating candles paired with flowers, river rocks, glass pebbles, or greenery can make a relaxing and refreshing centerpiece with hardly any effort. A simple centerpiece can be made from a large candle holder and basic flowers, greenery, vines, beads, or ribbon. A less rigid, more natural look adds textural appeal to the arrangement. Premade candle rings are popular design options for decorative holiday candle centerpieces. Pine boughs, ribbons, pine cones, icicles, and glittery accents are popular accents, and you can make them even more beautiful by adding ribbons, a festive tablecloth, and small accent candles to the centerpiece. An unusually shaped candle can be an instant centerpiece. Most candle centerpieces are pillar, taper, votive, or tea light candles, so choose ball candles, pyramids, figurines, or square candles for more flair. One of the easiest and fastest centerpieces you can make is to arrange tea lights or votives into an attractive shape. A star, circle, snowflake, or heart can be suitable for different occasions, but be sure each candle is aligned properly and resting on a safe surface.